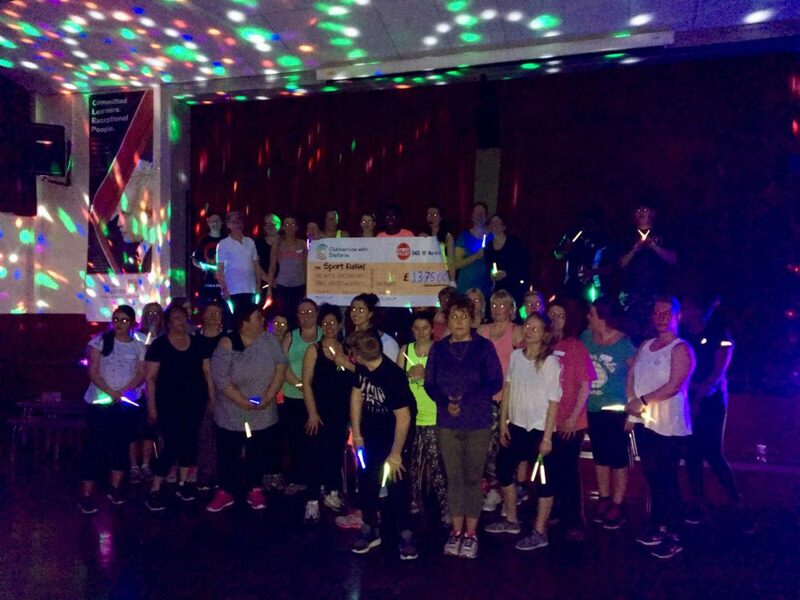 The fun loving local host of a Clubbercise class in Kings Norton, organised a special Clubbathon to raise money for the charity Sports Relief. The Clubbathon was led by the energetic Stefanie at St Thomas Aquinas School in Kings Norton on the 19th March. The two hour event saw around 35 adults and teenagers raving to tunes from the 80s 90s 00 and todays. With 33 banging tracks in total, nearly 1000 calories burnt off and a super £1375 raised, this fantastic achievement by Stefanie and participants will make a positive impact to those who need a little help. If you would like to join in with a Clubbercise with Stef classes, see here for details.